Save time & money with our mechanical dehydration solutions which offer significant improvements to your rotary drum dryer's efficiency! When managing organic waste streams such as manure, sludge, fruit and vegetable pumace, water is a major problem. The issue is that these products are typically 70-90% water in their initial state. This means that we will be employing some sort of drying system in our process. However, sometimes we may want to “pre-dry” the product before it gets sent to the dryer. We can do this by employing a mechanical “dryer”, which is not really a dryer at all, but a press. The most common press we see in organic pre-drying is a screw press. A screw press is used to separate as much “free” water as possible from our product before sending it to the dryer. This will allow the dryer to deal with the more difficult surface water and “captured” water within the cells of the product. There are a few ways that a screw press may compress the product, but the most common is a screw that increases in diameter as it moves toward the discharge creating compression against an outer screen. Another design is to tighten the separation between the flights of the screw as it moves toward the discharge. Ideally, the liquid passes through the screen, are collected and drained. The solids drop out the discharge. Why spend time and money on this process when the dryer will handle it all anyway ? There are several reasons to do this. In the case of dairy manure, you may want to capture the solids to be used as animal bedding and also capture the liquid (effluent) to use for fertilizer. In the case of cranberry pumace, you may want to capture as much liquid as possible before the dryer as it does contain sugars and may be used for a liquid feed product. The main reason operators like to use a screw press is to save on energy costs within the dryer. If you can remove 8-10% moisture out of your product before it gets to the dryer, you will save money and increase your dryer’s efficiency. Looking to start your next dehydration project? 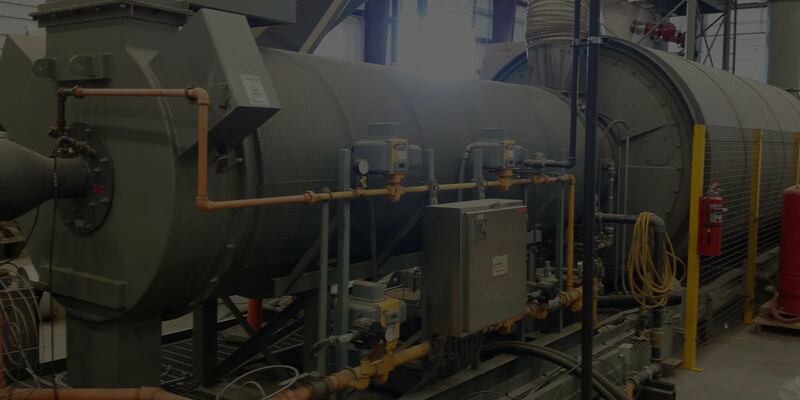 Hamilton Industries, Inc. is a process design and build company specializing in the management and monetizing of organic waste streams.